Tie-ups between smartphone makers and football teams are nothing new, as you may know. But this is the first we’ve seen Oppo go this route. The Chinese company has inked a partnership agreement with FC Barcelona, one of the biggest football clubs on the planet. The deal has been signed for three years. During this time, the Oppo brand will be visible at the Camp Nou stadium in Barcelona, and you should probably expect to see some cooperation in the field of TV ads too. 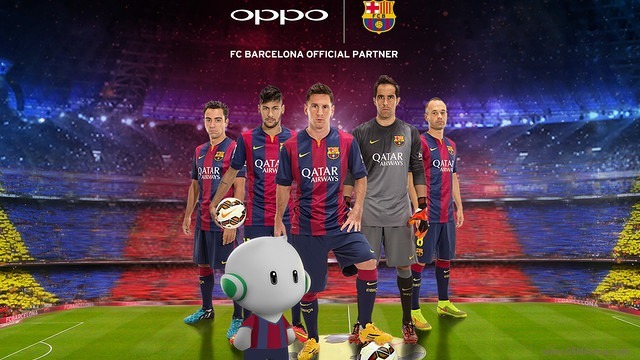 Perhaps we’ll soon spot a few Barcelona players rocking Oppo devices? The exact terms of the deal have obviously been kept under wraps, but it sounds like we’re going to see the first results of this partnership in the very near future. This will undoubtedly help Oppo further build its brand awareness across the globe.